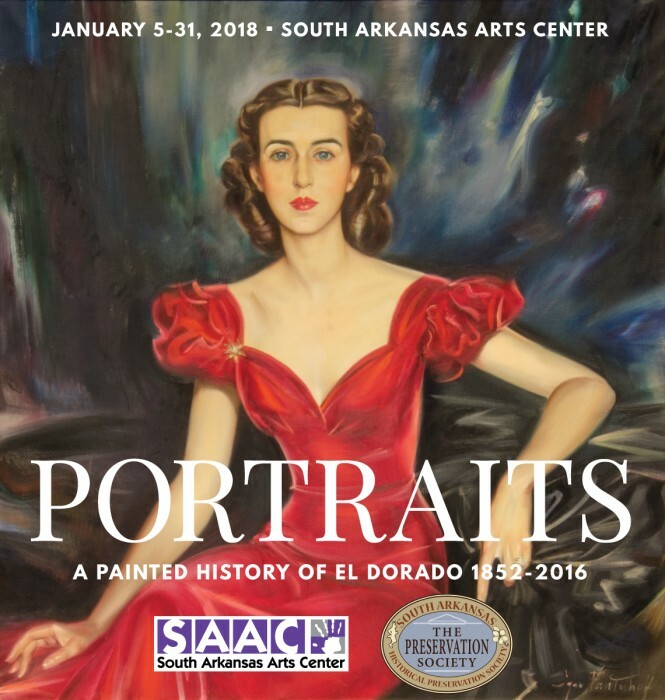 The South Arkansas Historical Preservation Society, in partnership with the South Arkansas Arts Center , presents “Portraits: A Painted History of El Dorado, 1852-2016” in the Price and Merkle Galleries beginning January 5, 2018 and running through January 31, 2018. Curated by Mac Shepperson and Ann Trimble, with portraits spanning 160 years, this exhibition showcases the artistry of local, national, and historically recognized talent with the common theme of El Dorado bringing them together. The exhibition includes 74 portraits. While many of these portraits are displayed publicly around El Dorado, the vast majority remain in the private collections of the descendants of those for whom they were originally created. Many of these multi-generational portraits of family members have never shared the same space - the likeness of great grandparents and their great grandchildren and generations of aunts, uncles, nieces, nephews, and cousins are finally joined together. The earliest portraits in this collection represent the beginnings of our town, while the most contemporary range to portrayals of those who still continue to shape El Dorado today.